With our clients from industry, research, NGOs & public bodies, Minerva develops and delivers strategic communications that count. Based in Hampshire, UK, Minerva has a proven heritage in the sustainability, bioeconomy, food & nutrition, science and technology sectors. Creative and agile, Minerva offers targeted thinking and insights to deliver strategic planning and effective actions. As a business Minerva is issues-driven – and that’s a passion shared by all members of the team. As a team we love to challenge the status quo by developing consensus across stakeholders and driving change. Our varied work on EU and international projects and with UK clients has helped us develop unrivalled knowledge, contacts and actions throughout the world across sustainability, business, innovation, research and science. BIOVOICES (biovoices.eu) – Minerva is the UK partner in this current EU sustainability project leading on stakeholder engagement to address challenges related to bio-based products and applications. Your organisation could become part of the actions planned for the UK in 2019 and 2020. CommBeBiz (commbebiz.eu) worked with EU-funded bioeconomy (forestry, marine, agriculture, food, biotech) research projects to communicate their innovative ideas, work and results to business, policy-makers and society. Partners included EBN, the European innovation network, and Teagasc, the Irish Agriculture and Food Development Authority. Minerva’s Director, Rhonda Smith, coordinated the project. PROteINSECT project – Minerva led on policy development and international media communications for this project demonstrating the effective use of insects as a sustainable source of protein for animal feed and human nutrition with partners from China, Africa and Europe. It was coordinated by the Food and Environmental Research Agency (FERA) in the UK. Minerva works with UK based companies and organisations, a recent example being Compassion in World Farming and Slow Food UK, promoting their work on sustainable farming practices. We led, for example, on media communications and supported delegate marketing for the highly successful international Extinction & Livestock Conference (QEII Centre, London, October 2017) which highlighted the impacts of intensive agriculture on animals, people and the planet. 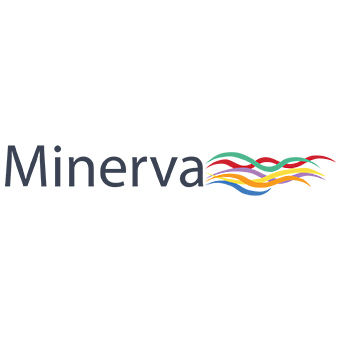 Minerva’s successful approach relies upon using our expert knowledge, experience & contacts to enable high-quality engagement that delivers maximum impact.